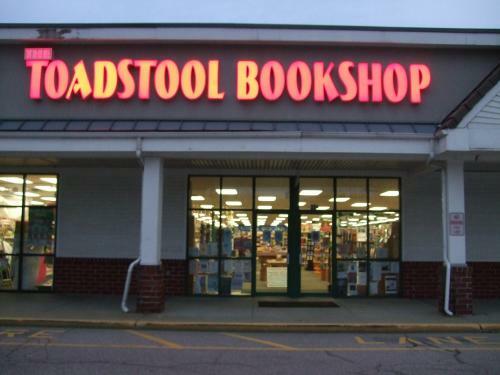 One of New Hampshire’s three Toadstool Bookshop outlets. They’re located in Peterborough, Keene, and Milford. If you’re in the neighborhood, be sure to visit the one in Keene, and then grab a beer and a burger (and gigantic onion rings) at Elm City Brewery, located in the same large ex-factory as NH’s best bookstore. With ebooks, there’s concern for the survival of even this fittest of independent booksellers. We are very grateful to all of those of you who have said you would like to support us by purchasing your e-books through us. 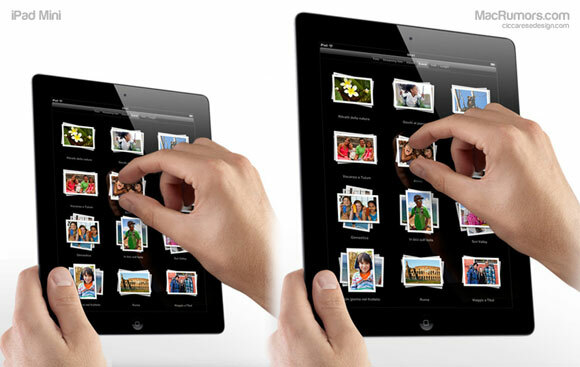 This will become extremely important to us as more and more people begin using e-readers. We ask that you please bear in mind that only certain types of readers are compatible with our website. Fortunately, most of the common ones are. These include the iPad, Nook, Sony, and Kobo. However, the Kindle is not compatible. Amazon has chosen to force Kindle users o make their e-book purchases only through their website. Please think twice before getting one for yourself or for a gift. The future of independent bookstores such as our depends upon every sale, the physical book and the e-book. None will exist without the support of loyal book buyers such as yourself. Thank you so much for thinking about us, and be assured our love remains [for] the real book, there for your browsing in a real bookstore. No, this is not a definite product. But it is an intriguing rumor. But today’s visit to Barnes & Noble, and yesterday’s visit to B&H Photo in Manhattan confirm one counterintuitive idea: in comparison with competitive products, the iPad is kinda big. I like it that way, but I use my iPad for business purposes. For casual use, something smaller might be just the thing. “The new model will have a screen that’s 7 inches to 8 inches diagonally, less than the current 9.7-inch version, said the people, who asked not to be identified because Apple hasn’t made its plans public. The product, which Apple may announce by October, won’t have the high-definition screen featured on the iPad that was released in March, one of the people said.”–reported by Bloomberg, posted in MacRumors. Within the next 30 days, I am going to publish my first eBook. 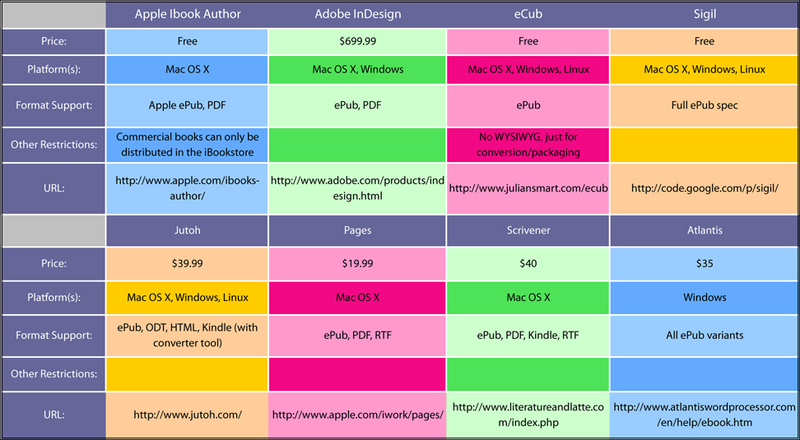 How I wish Mashable had published this chart of eBook publishing software applications before I got started. I struggled through Adobe InDesign and gave up. I would have used Apple iBook Author but it was not available. For me, Scrivener was the best available solution–and it seems to be working, but Apple has upped the game with its (and free) software. Have a look, and be sure to pass this post on to anyone who might be considering their first eBook. This was the year I bought an iPad and my wife bought a Kindle. Then, we went shopping, each of us in search of a slim, durable, protective case. Function matters more than fashion. Each device would require a snug fit. 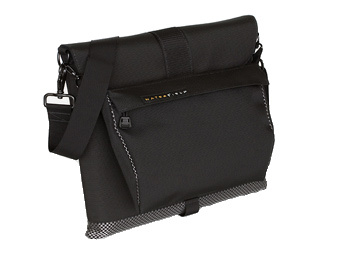 I needed something weather-resistant because I planned to carry the iPad to meetings, with or without an outer bag or case. To save on shipping, we tried to find one company to serve our needs. After visiting a handful of retail stores, we visited a dozen websites. 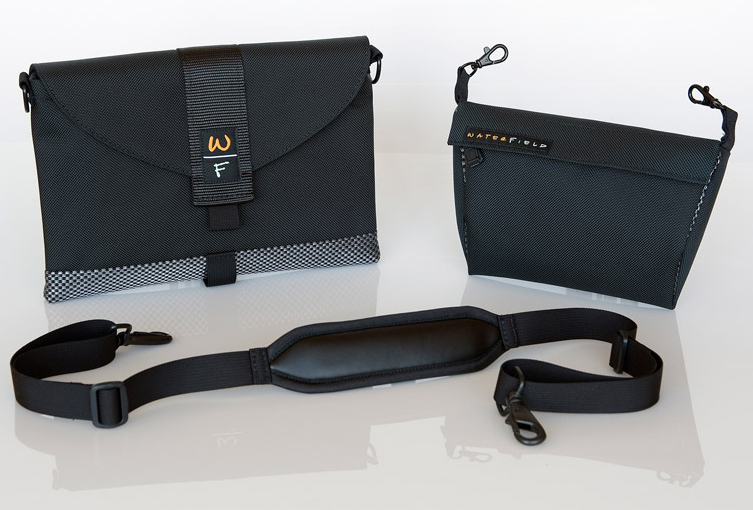 We found a great little company called SF Bags. We were impressed by Gary, the owner, who appeared in videos to explain each of his products. There were eight entirely unique iPad solutions, and the same number of Kindle solutions. Mostly, they were the same designs, each customized for the iPad, Kindle, the 11-inch Mac Air, the 13-inch Mac Air, and a lot of other portable devices, including videogames and digital cameras. For her Kindle, my wife decided upon the red Slip Case for Kindle; there were five other color options. It cost $27. I chose the Ultimate Sleeve Case for iPad2 in the vertical format (horizontal is pictured) with checkered “lead iridium” ($55) instead of brown leather trim ($60). I was smart enough to order it with small d-rungs, but not smart enough to order the Suspension Strap Mini ($22) or the Vertical Mini-Pouch ($25) first time around. now, use the three items together, in place of a backpack or shoulder bag, as a slim kit for iPad2, wallet, iPhone, earpiece, keys and a small pad and pen. I also picked up a protective case for my wireless Bluetooth keyboard. My wife is happy with her Kindle slip case. I bought my iPad kit for function, but often find myself answering questions about where I found my bag. Now, you know. Here's the horizontal bag with the mini-pouch attached. The inside of the pouch is lined with soft neoprene.